Obtained Baby Pokemon leads Pokemon Go's Pokedex enlarged. 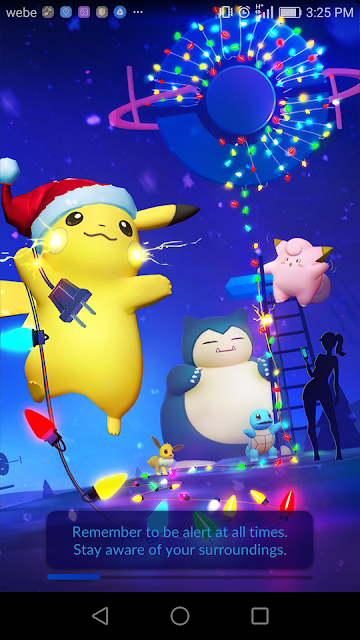 A refreshing Pokemon Go theme in conjunction with Christmas season. Veteran Pokemon Go Trainer is anticipating Pokemon Go Xmas event. 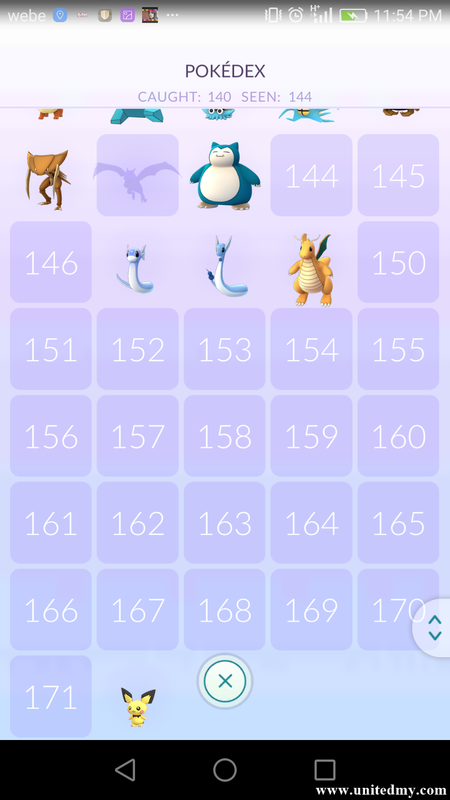 Besides, Will Niantic roll out legendary Pokemon on New Year Eve ? Limited Edition Pikachu with festive hat are out there to be caught till December 29, 2016. 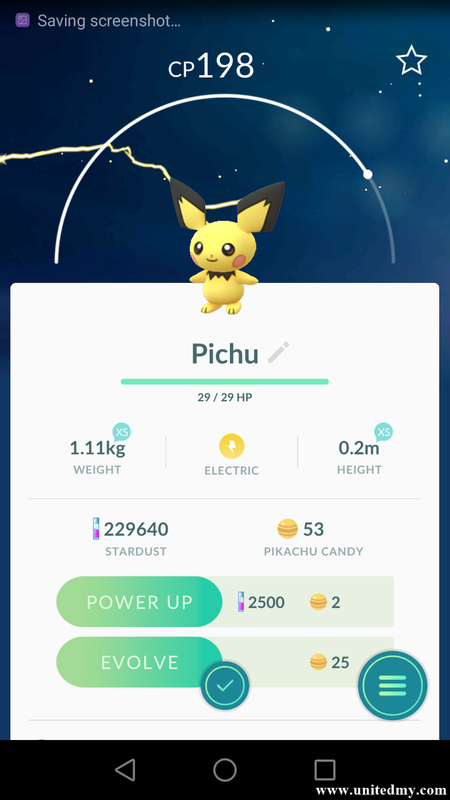 Hoping there are more limited edition Pokemon out there to catch on next time ! For your info, Raichu get to wear festive hat too by evolving Pikachu with festive hat. Strong desire to hatch a baby Pokemon has emotional affected some Pokemon Trainer resorted to get one of those incubator in store in a bid to accelerate the chance of having one baby Pokemon. Author of Unitedmy have hatched two eggs before getting baby Pokemon at the third 5KM egg. It will be not an easy task to get a baby Pokemon as there were not in the wild to be caught by Pokeballs. After the releasing of baby Pokemon, there were a strong determination to walk even further in order to get one. Moreover, Pokemon Trainer could earn the 1,000 KM badge in the same time. Well, this is one of the most widely known games. I think that I would like to play it somehow. You know, just for fun. UFC 229: Khabib vs. McGregor is a upcoming mixed martial arts event made by the Ultimate Fighting Championship that is held on October 6, 2018 at T-Mobile Arena in Paradise, Nevada, a part of the Las Vegas Metropolitan region. The episode is likely to be headlined using a UFC Lightweight Championship bout between current winner Khabib Nurmagomedov and former featherweight and lightweight winner Conor McGregor.McGregor caught the lightweight title at UFC 205, when he had been the reigning featherweight champion.The Irishman never defended the title, because he took off a while in 2017 because of the arrival of his first son and afterwards venturing himself at a boxing video game against Floyd Mayweather Jr. (where he dropped ).